Have a great community event coming up? Set up private and public events straight from the lounge! 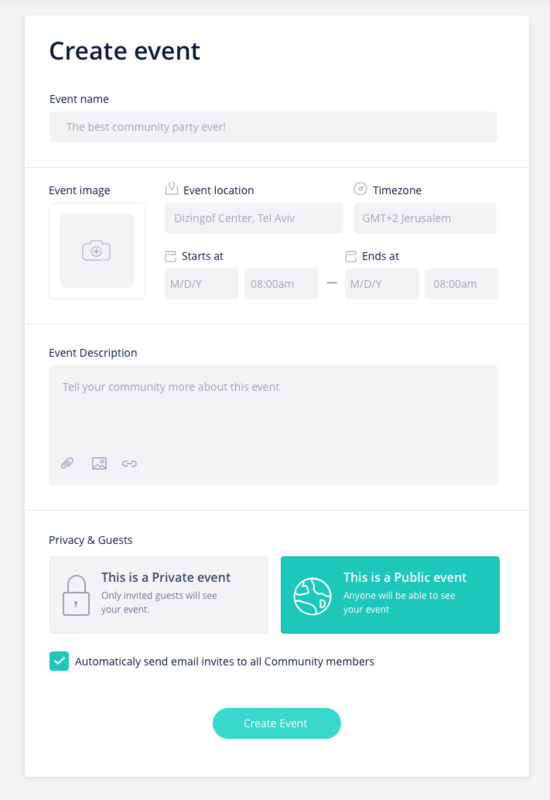 You can add your event set up with the location, time and any other details you choose and invite your members. Members receive the invites straight to their calendars and can RSVP without needing to login or sign up to Mobilize. 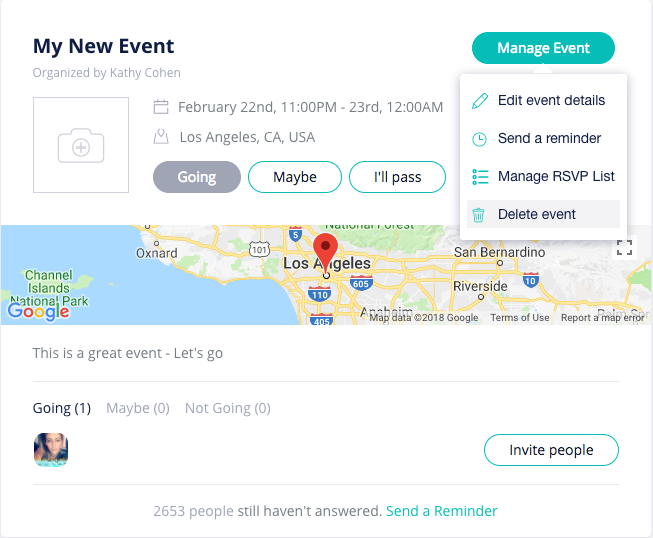 You can also send reminders, update event details directly on their calendar, and send content to event attendees pre and post event. Quick tip: Make sure you set up your event with an event image, description and details all before inviting your guests. 2. Fill out all the event details - Name, location, timezone and Start/end times. Add your event description to let your attendees know what they can expect at your event. You can include links, images, gifs and files in your event invite. At the bottom you can choose whether you'd like your event to be Private or Public. 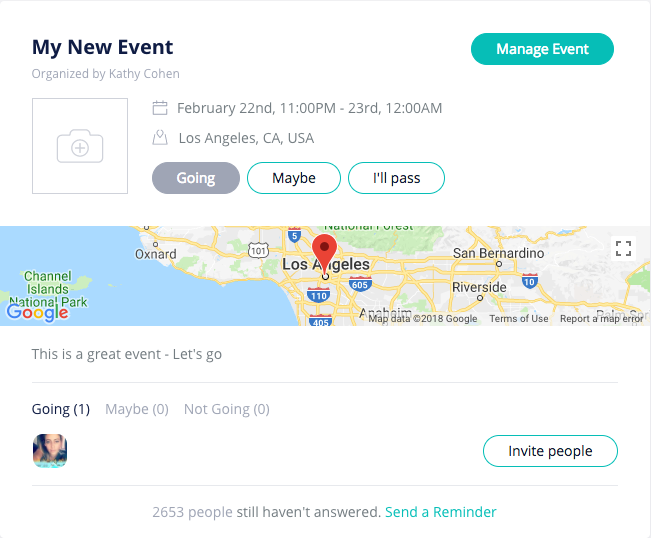 Click Invite people and choose the attendees you'd like to invite to your event. Use tags and search to filter easily. Your members will receive an invite directly on their calendars and can RSVP directly from their email inbox. To manage any of your event details or your attendee list click the "Manage Event" button and choose the action you'd like to do.